Seth MacFarlane spawned a TV-cartoon empire, directed and starred in three major motion pictures, journeyed into space via The Orvilles, and has even hosted the Oscars, but his greatest achievement is still his first home run: Family Guy. The king of cutaway gags and milking a joke until it’s so dry it’s funny again, Family Guy came out swinging in 1999 and knocked us all on our asses so fast FOX tripled its bet, eventually churning out more spin-offs than a Kardashian cousin’s vanity project. Now at the age of 20 (Jesus, how did that happen? ), Family Guy hasn’t matured one bit. Lucky for us because we wouldn’t have it any other way. 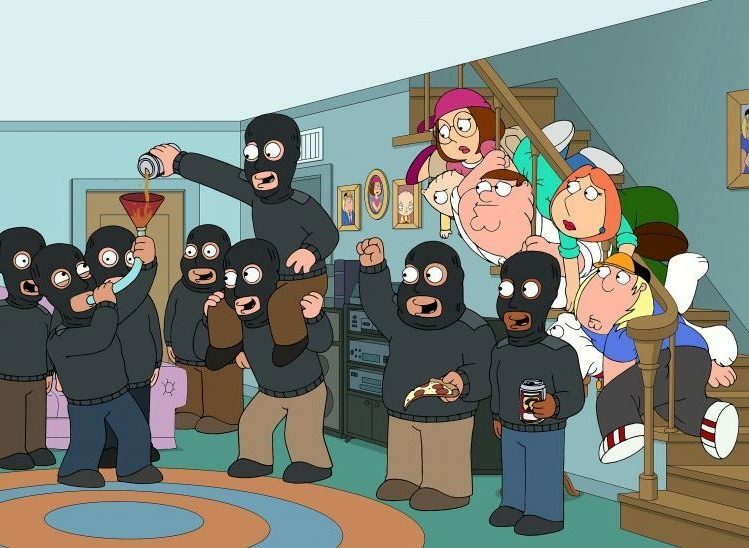 From (really) painful knee scrapes to the resurrection of Adam West, we have all the GIFs to celebrate the show that makes it look fun to be a family guy.